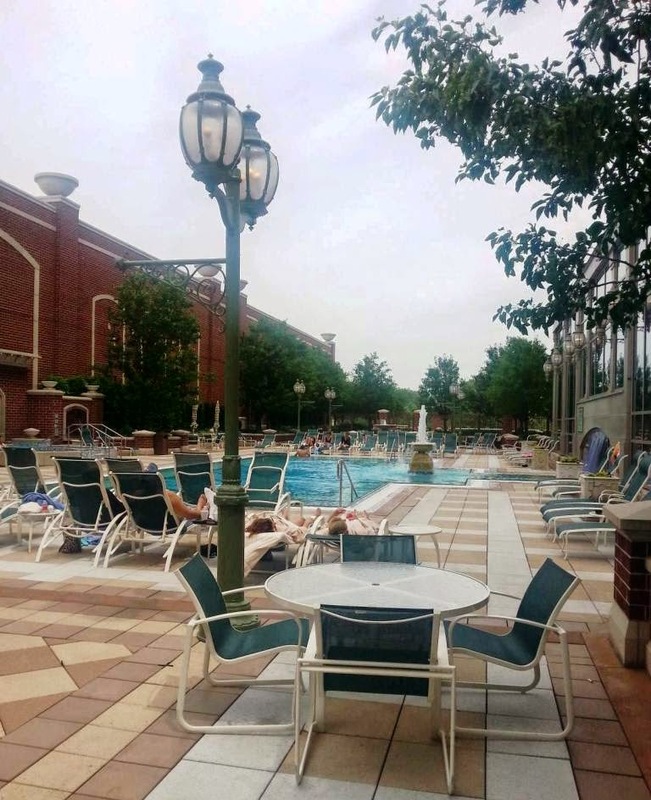 I recently visited St. Charles, Missouri's upscale casino: Ameristar Casino Resort Spa. And, by upscale I mean ~ how did this place land in the Midwest? I have been in a few casinos and this is more of a spa, resort and casino combined yet, completely separate of each other's identities. And ~ considering I am not really one to put coins into a machine without being assured of getting a candy bar back ~ this was great news. And surprising to find outside of Las Vegas. Located in the historic town and just a few minutes from the airport makes this an easy road (or air) trip and provides the small town charm with big city slots. It is owned by Pinnacle Entertainment, which also owns over-the-top Vegas-glamorized River City Casino and Hotel in St. Louis, which I wrote about earlier. Read Top 10 List here. Here are the Gotta Go recommendations for Ameristar Casino and Hotel, St. Charles. There are many food items in this list, I realize. However, when it happens that you find so many great ones, you just need to share. Here is the worth-the-drive pasta dish from the masterminds at Bugatti's Steak & Pasta, the Italian fine dining eatery. 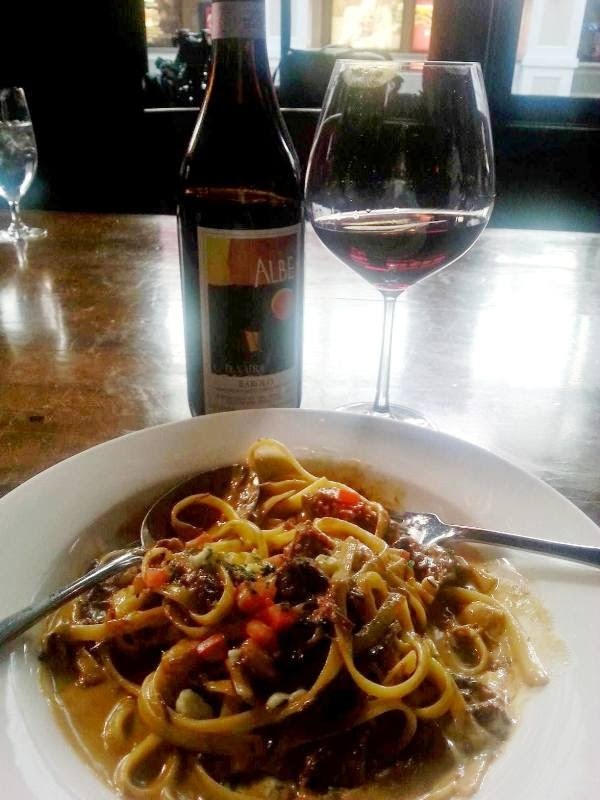 Beef short rib tagliatelle is a very long name for a very scrumptious meal to twirl. This could actually be my new No. 1 favorite Italian dish. No disrespect to Tony Danza who has just been pushed to the No. 2 spot. When I found out the ARA Spa service menu features Missouri's only Japanese bathing ritual-inspired all over body treatment, I went for it. Pure Bliss consists of five-parts using minerals, flowers and fruit essences, oils and lotions for an ultimate experience. All over mimosa shower, bamboo scrub, cherry blossom polish, plum mist and hydrated with wild lime oils.... that's not a spa menu item, it's an entire spa buffet. Wow. I might have floated to heaven somewhere between the second and third segment, or at least felt no stress for a couple of hours ~ Be sure to ask for Ramon. Just like any other lady (and cool men), I have received many pedicures in my life and the reasons this one hits the list is the professionalism and friendliness of the technician, the atmosphere and decor of the salon, and..... here's the big reason ~ the polish did not chip, smudge or flake off for three weeks ~ what a time saver without the extra cost and time for a gel polish treatment like Shellac gel. I use OPI regular nail colour (they also have a gel) almost exclusively and this was no exception. Except it lasted. And lasted. I received the Pure Bliss Ara ritual pedicure (and manicure) and if I lived within a reasonable driving distance, I would use ARA Salon for this reason alone. The suites are just that... suites. A relaxing sitting area accompanies every hotel room-suite in the form of a sunken living room. Picture windows showcase the cityscape or river view flooding the room with natural light. The step-down area is large enough for a few friends to sit and enjoy themselves without sitting on a bed or uncomfortable desk chair, making this a hotel that actually understands their customers' needs. No, I have not missed the Texas Hold 'em craze, which became more than a fad and is now a staple in casinos, bars and homes across the nation. I just never got the hang of it ~ until an invitation to a private lesson (my job does have its perks). 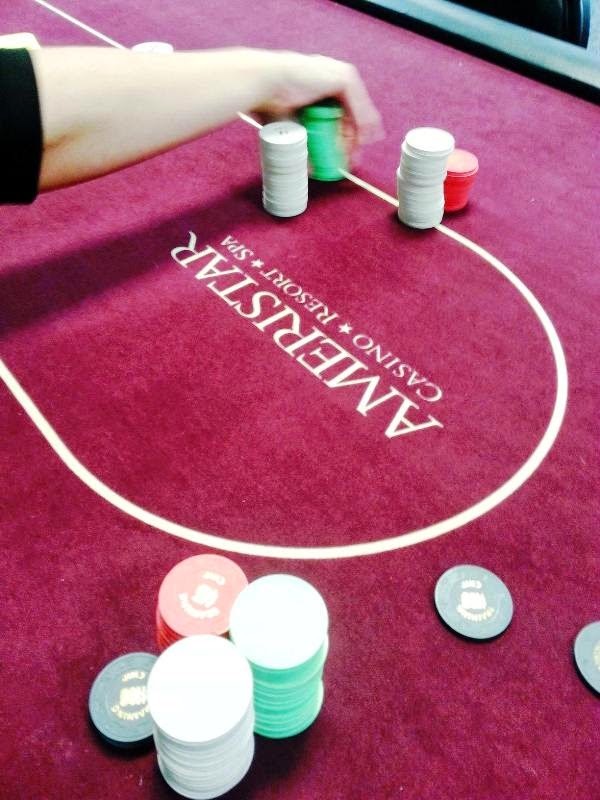 Many things were learned at that tutorial: they are called cheques not chips, it's really, really fun to win large stacks on a bluff and you can take home big bucks playing this game. Hmmm, maybe I should take on that Moneymaker guy. I wonder if he's playing the Heartland Poker Tournament in Kansas City this October? I think I'm ready ~ let 'em flop. There is only one thing better than seafood. A tower of seafood. 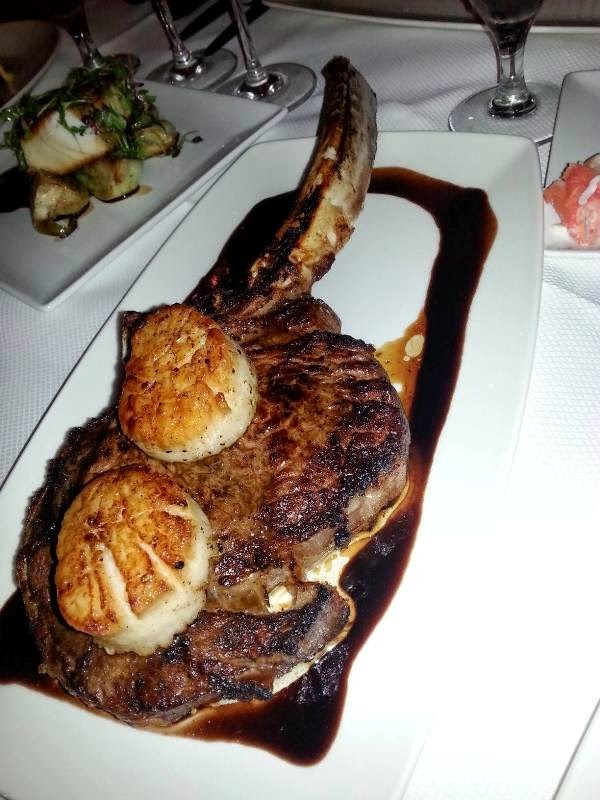 Pearl's is a Cajun and seafood eatery that tops itself with a vertical tribute to all that is wonderful under the sea. Blue Point oysters, King crab, snow crab legs and huge shrimp fight to be king of this hill of horseradish, hot sauce and melted butter. Enough to share with your gaming pals, chances are you will wrestle for the last bites. 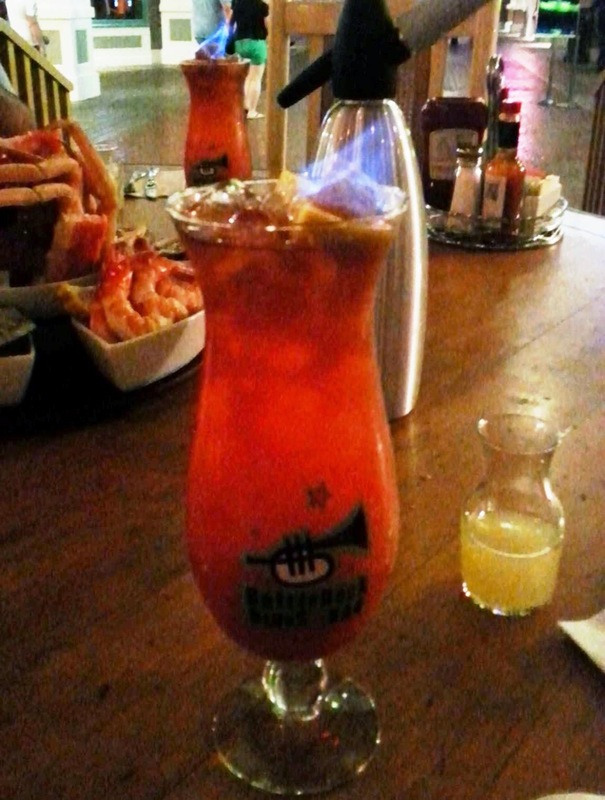 Because this casino's food and beverage team are slightly insane in that let's-see-how-we-can-top-it kind of way, they have taken a classic drink, the Hurricane (Pat O'Brien's in NOLA), and, well... lit it on fire. Yes. Flamed up the old standby get-the-party-started drink, proving they truly will try anything. Thank goodness. Now, I am not certain you are allowed to toss in the customary three coins, but no matter. This million-dollar water fountain doesn't need any coins to make you believe wishes truly do come true. It also doesn't scream for attention with flash and neon, simply drawing you in gently, offering a calming respite from all the gaming floor action. Take a few laps in the indoor-outdoor pool or... just soak up the sun's rays while sipping a few cold concoctions. The cabana-style bar serves frothy, frozen and fruity drinks and is available to non hotel guests as well in the form of a day pass. 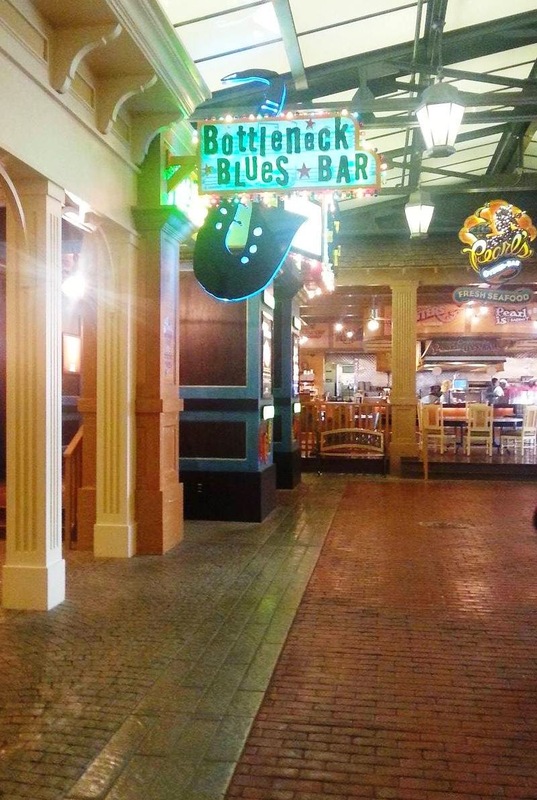 Live entertainment in the form of national and local artists fill the venues, such as Bottleneck Blues Bar and The Night Club. The St. Louis metro property even goes so far as to bring the music outdoors with Rehydrate Weekends ~ a pool party on steroids. Country, 80s pop, blues, you name it and you will find music for the soul. One of the venues that deserves all the attention it can garner, and more attention and reviews than I (unfortunately) have the time to write, is The Cabaret at The Columbia Club. The upcoming calendar allows a visit and review for a couple shows in the near future, thankfully, and I truly look forward to one of my favorite places in the world ~ right here in Indianapolis overlooking The Circle. If you haven't been; hold off. Click here to read a review on Tom Wopat performing at The Cabaret. Yes, I said wait. Just until the lights are up on the World's Largest Lighted Christmas Tree. At the beginning of the second half of a Cabaret performance, the curtains are opened and the gasp-aloud view will wow you and then ... you will get why I had you wait. 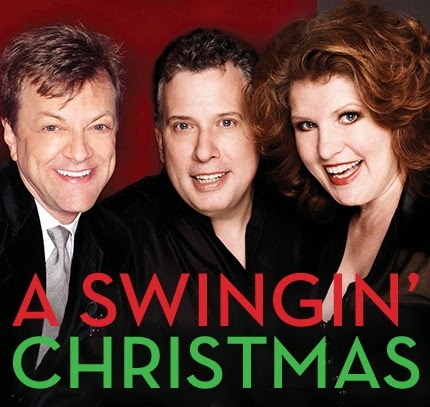 But... definitely get tickets asap for the always-sold out holiday show as this year will be no different. The fundraiser performance (It is a non profit organization) is always worth the ticket price. 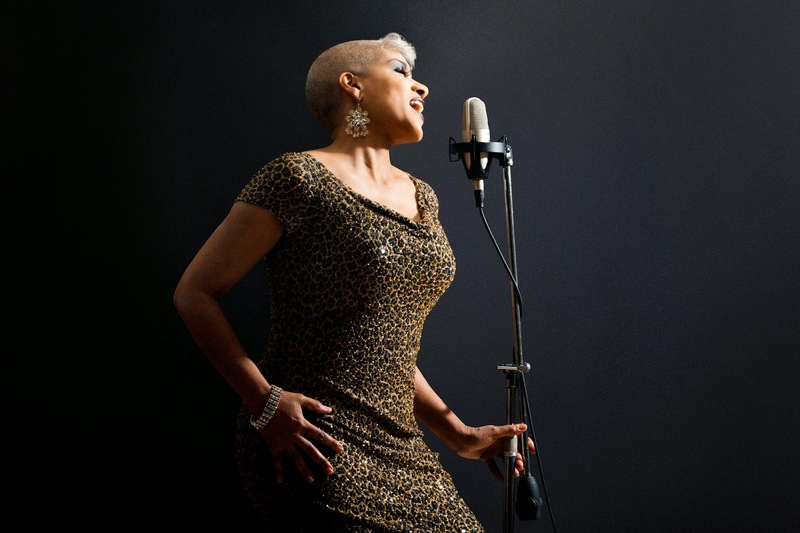 Click here to read a review of Shannon Forsell performing at The Cabaret. 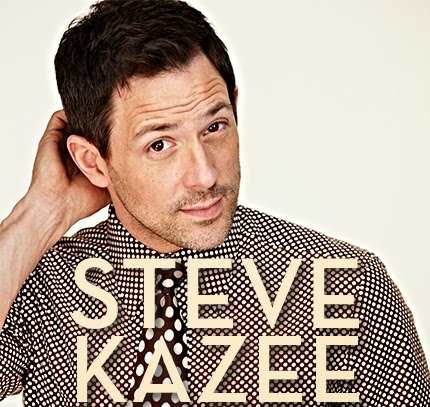 The autumn 2014 schedule includes Broadway, film and television stars, Tony- and Grammy- Award winners, and the much-anticipated annual fundraiser. 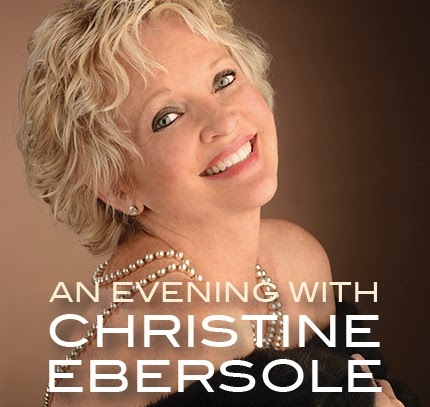 For reservations and tickets, visit TheCabaret.org. Elizabeth J. Musgrave writes magazine food and wine columns: Destination Dining, White Linen & Corks, and is a travel, features, food and wine writer, travel and food photographer, and performing arts and restaurant critic. Catch her as the Travel & Leisure Adviser on FOX59 Morning News Show. She also works as a consultant for hospitality, travel and tourism businesses and groups, as well as a radio and television guest and host. Follow her on Twitter @GottaGo, LinkedIn and Facebook. Speedway, a lot more fans are going to know it instantly. 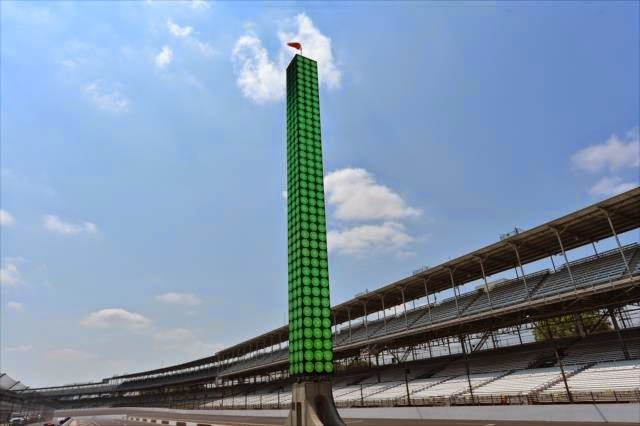 The third-generation scoring pylon was unveiled Tuesday on the main straightaway and among the many capabilities on the full-LED-paneled pylon is the ability to completely flash with green lights. Or yellow. Or with an American flag look for pre-race. And then, in a blink, the 92-foot, 4-inch pylon can look just like the one that was removed last month after 20 years of service, documenting the lap count and running order of 33 cars on the track. “We wanted to generate more information, to give more information to the fans in their seats,” said Indianapolis Motor Speedway President J. Douglas Boles. The pylon can display the top 10 on the track while also circulating through spots 11 through 43. It can also provide enhanced stats information like lap times, miles per hour and time behind the leader. 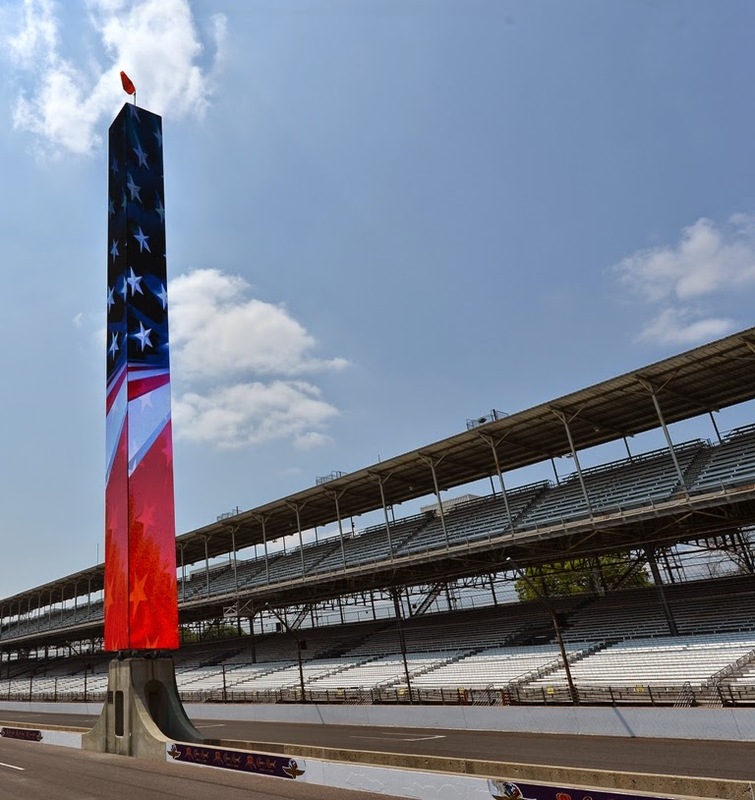 The pylon erected in 1994 that stood sentry over the first 20 Brickyard 400 races, two decades of Indianapolis 500 races and other events. Powered by 6,496 30-watt light bulbs, that pylon could only display basic race scoring with a space at the top for race logos. The first IMS pylon that went up in 1959 and was manually operated. More than a half-century later, the pylon now has animation and video capabilities. In the coming year, video boards around the track will be added with the same digital capabilities. Elizabeth J. Musgrave writes two magazine food and wine columns: Destination Dining and White Linen & Corks,and is a travel, features, food and wine writer, travel and food photographer, and performing arts and restaurant critic. Catch her as the Travel & Leisure Adviser on FOX59 Morning News Show. She also is a speaker, consultant and trainer for travel, hospitality and tourism businesses, and groups, as well as a radio and television guest and host. Follow her on Twitter @GottaGo, LinkedIn and Facebook. Summer + sangria = Great way to cool down on a hot, muggy day. While searching for recipes to make the fun wine cocktail and found, instead, recipes with long lists of ingredients and, quite frankly, I am not certain I know anyone who wants to go to that much trouble for a drink. Particularly on a hot summer's day. Soooo, enlisting the help of friends in the know on these things; answers ranged from, "experiment," "put in whatever you want," "throw in some vino and voila," and some great recipes also. All great advice. One thing became clear: they all had four core ingredients. Deciding that's good enough for me, I started with those four. Below are the core recipes, with some tips and options. Do NOT use a sweet wine as you have no control of the sweetness. Use flavors that complement when selecting fruits and berries, but don't feel scared to try new combinations. 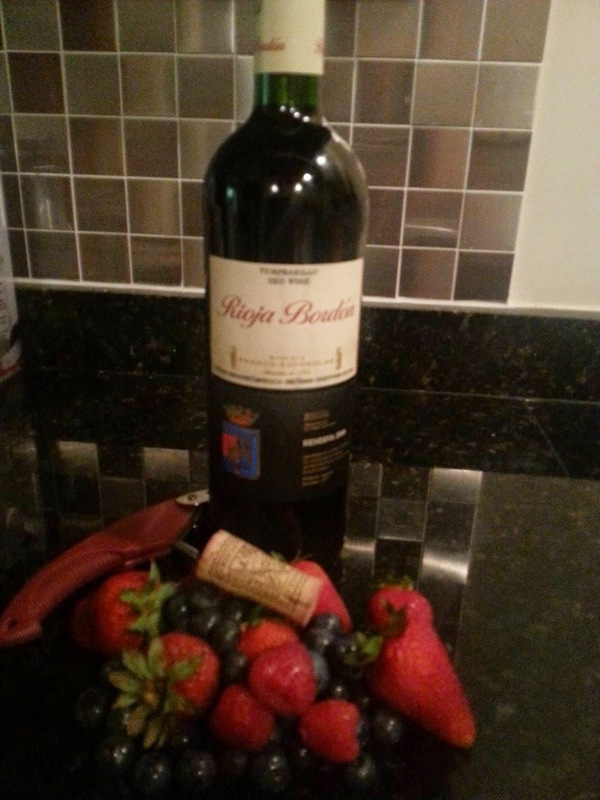 Example, red wine goes great with mixed berries ~ I used 1 cup each of raspberries, blueberries and strawberries. Do NOT smash the berries or fruit. Put the cleaned berries or fruit into a bowl and pour all of the brandy over it to let it soak into the mixture. It should absorb all of the brandy, about 15 minutes. Pour red wine into a pitcher (clear is prettiest) or drink container with a spigot. Add the white sugar and stir. Slowly put in fruit or berries then gently stir again. Cover and refrigerate overnight (minimum four hours) to let brandy infiltrate wine and sugar. Prior to serving, use a slotted spoon to pull out some of the berries or fruit and add a little to each glass before pouring sangria into glass. Any glass works; Mason jars are great as are hurricane glasses. Scoop ice into pitcher and glasses (if person wants ice) and pour in sangria. Use flavors that complement when selecting fruits and berries, but don't feel scared to try new combinations. 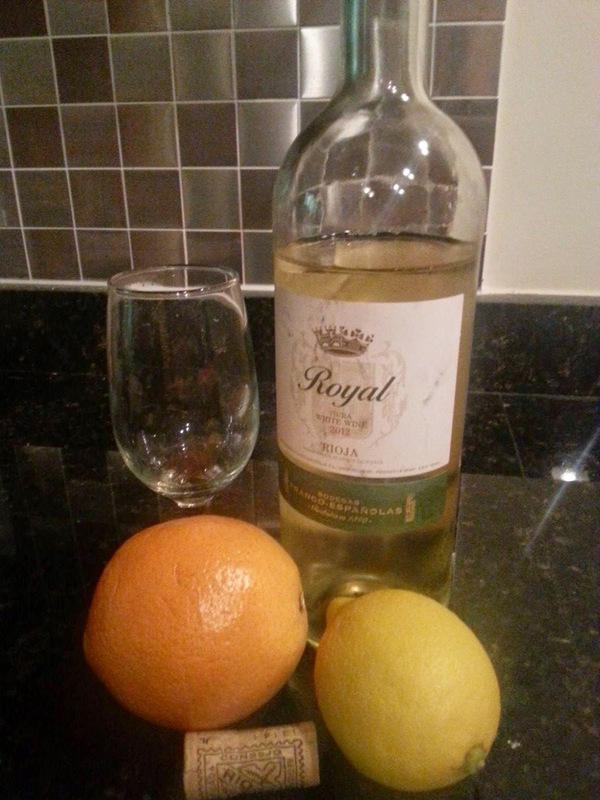 Example, white wine goes great with fruit ~ I used 1 cup each of limes, lemons and oranges. Do NOT smash the berries or fruit. Put the cleaned berries or fruit into a bowl and pour all of the brandy over it to let it soak into the mixture. It should absorb all of the brandy, about 15 minutes. Leave the peels on the fruit and cut into small chunks as people like to pull them out and nibble on them. Pour white wine into a pitcher (clear is prettiest) or drink container with a spigot. Add the white sugar and stir. Slowly put in fruit or berries then gently stir again. Cover and refrigerate overnight (minimum four hours) to let brandy infiltrate wine and sugar. I like Spanish wines as Spain is where sangria was created. The brand I used is Franco-Espinolas and I had great success. Fruits and berries can (for an extra flavor oomph) match the brandy you choose. A good friend who knows more about spirits and wine then most sommeliers I know suggested apples and apple brandy for the white wine sangria, which I will be making verrrry soon. Another great combination would be peaches and peach brandy with the white. Red could easily welcome blackberry brandy and berries still with it or cherry brandy and a mix of cherries ~ you get the idea. Strawberries and rhubarb, passion fruit... the sky's the limit now that you have the basic recipe. Just switch out the fruit/berry choice and the brandy flavor. Some folks toss in vodka of various flavors and that's good also. Anything goes, almost, is the key tip to remember. It's super easy to make and fun to switch things up a notch or two. I am already thinking of what I want to try next. And, you will never have a problem finding someone to taste test the flavors for you! Let me know what flavor combos you like or try and whether these work for you. Elizabeth J. Musgrave is a syndicated fine-living, travel, food, wine and spirits columnist, freelance writer and photographer, and performing arts antic for Gotta Go. Catch her as Fox 59 Morning News Show's Travel & Leisure expert. Read Infused, her spirits & wine column at www.GottaGo.us and www.FoodDigital.com. Follow her on Twitter @GottaGo, LinkedIn and Facebook.